When building a country house, special attention should be paid to such crucial elements of wooden structures as window and door covers. And this is connected with the well-known seasonal phenomenon called "shrinkage", which necessarily manifests itself during their operation. 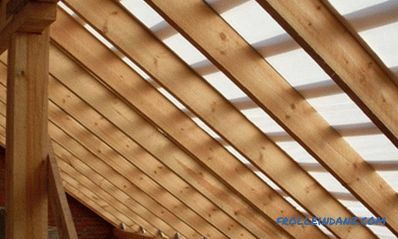 When preparing window and door openings, you should always bear this in mind and make sure in advance that the possible shrinkage does not lead to unpleasant consequences, namely, to the deformation of these structures. 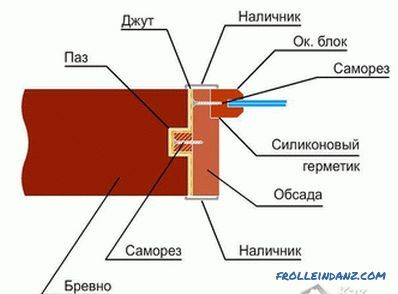 To eliminate possible deformation of window and door openings, the latter are placed in a special salary, called an ossyachka (or casing). 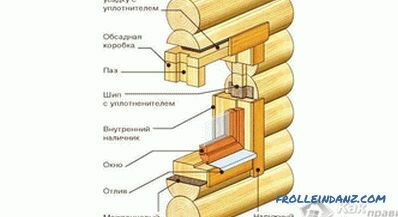 Thus, okosyachka in a wooden house will allow you to protect the structure of the bindings from its natural shrinkage. a window sill (for windows) and a threshold for doorways. There are several ways to make a okosyachki, each of which will be discussed in more detail in the next section. Among the well-known casing fabrication techniques, the methods described below are most commonly used. 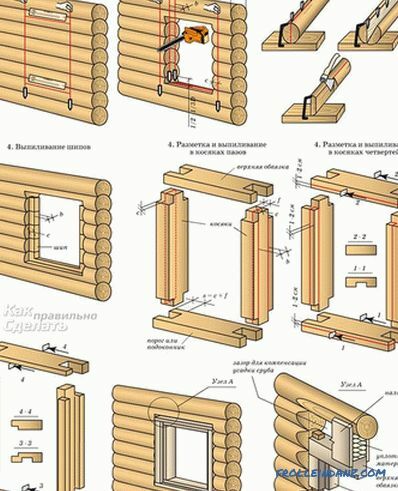 This okosyachka is a structure consisting of a bar with a section of 50 * 50 cm and an edged board 50 * 150 mm or more (depending on the size of the logs). Mortgage or guide bar is mounted on the sides of the structure in such a way that the crown crowns could freely move along it as along the guide (if they have corresponding slots). The wide prevalence of this method can be explained by its low cost and ease of execution. 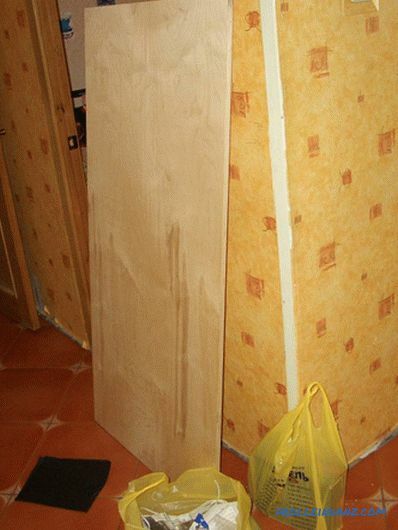 This method involves the manufacture of a casing window and door openings of solid rectangular timber, having a section “T” shaped profile (with a thorn in the middle). When assembling the walls, logs laid in the log house are “strung” with their grooves on this spike and, with subsequent shrinkage, structures can move freely along it. 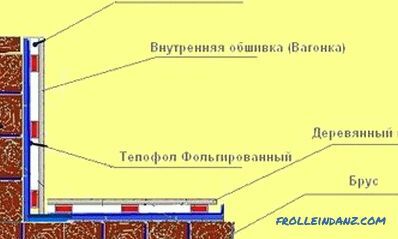 In this case, a regular edged board with a thickness of about 50 mm can be used as the apernik (upper lintel). 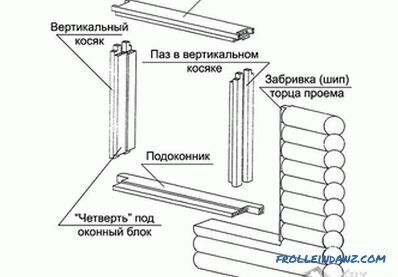 With this version of the design, even before mounting the box, vertical ridges are made at the ends of wall logs, and a groove is made in the side racks-bars of the ossyachki by the size of the spike. 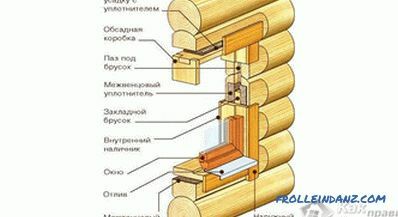 When assembling the box, the lower window sill is first mounted (it is also called the threshold), after which the side racks of the ossyachki, laid with a roll-on compactor of one type or another, are inserted into the spikes. The upper part of the prefabricated box ("apex") plays the role of a strut of its side posts; at the same time between it and the upper crown of the frame is left a small gap, used as a shrinkage gap. This gap must be filled with sealing material of the type you choose. At the final stage of the design of window openings on them are mounted slopes and trim, covering the areas adjacent to the ends of the log house. installing a window or door block into it. 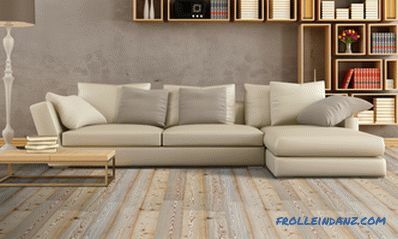 When preparing the seat, it is necessary to specify its dimensions with regard to the distance to the floor level. For windows, in particular, it should be of the order of 80-90 cm. After this, the opening is marked with the obligatory use of the simplest tools for checking - the construction plummet and level. 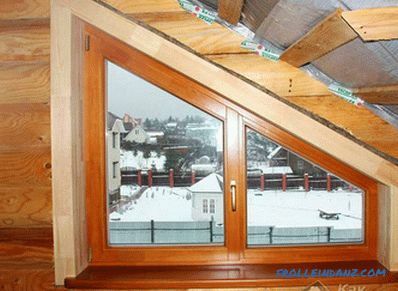 The dimensions of the opening should be about 40-60 mm larger than the dimensions of the window construction, which is connected with the need to leave shrinkage (compensatory) gaps. Depending on the technology of your choice, the work on the design of the opening for the okosyachku includes the preparation of a groove or a crest in it. The installation of the okosyachki is also taking into account the features of the selected type of casing technology, that is, in compliance with all the rules and procedures for assembling this structure. At the final stage of work, the direct installation of a window or door block is made into the prepared casing. When making a mowing with your own hands, you should always remember that its use is justified only in the case when the age of the house does not exceed 10 years.For long periods, the use of these technologies is not necessary, since the structure has completely exhausted its shrinkage resource.